You may map your excel sheet with our Standard templates, so there is no need to even copy paste. This MAPPPING process is one time for each sheet. Afterwards click only "Import to Entries Sheet" button and generate entries. 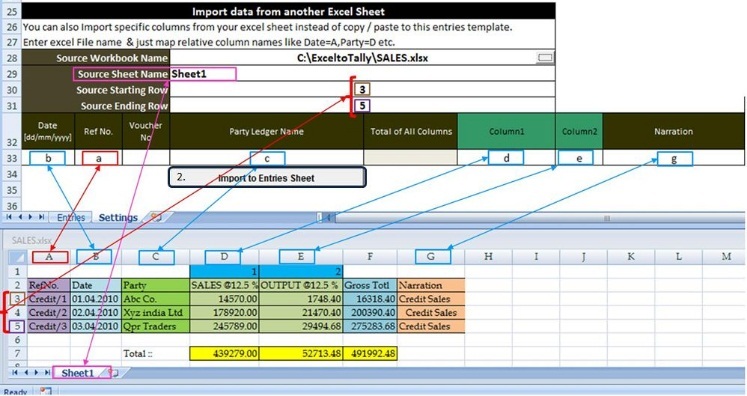 Now you can import your excel data using Excel Formulas like a magic. You don't have to alter your existing excel sheet, just MAP your excel sheet columns with EA4 Templates & thats all. While Mapping your sheet with EA4 templates you can use Excel Formulas in column names to import calculated data.